Don’t know about you, but we took one look at these incredible and beautiful floor tiles and instantly thought of summer! 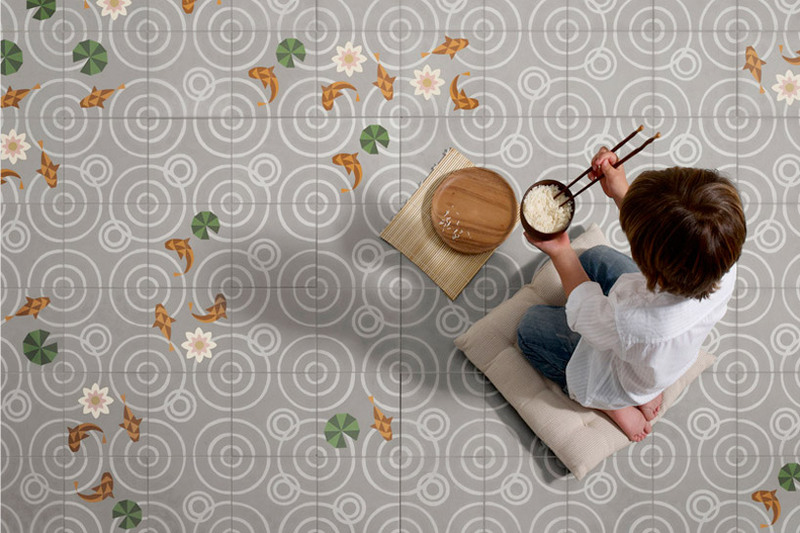 Spanish collective Mut Design Studio + Atelier have created these floor tiles, which when laid together resemble raindrops falling on a Japanese pond complete with fish, lotus flowers and water lillies. The collection is made up of 4 different tiles, meaning that any combination can be made depending on the result you want. The tiles are available from Entic Designs in Valencia and we think they are just sublime!